After a successful Kickstarter campaign, Robert Herman has just released his monograph 'The New Yorkers.' The book is full of character and characters with a focus on the colourful 1980s. 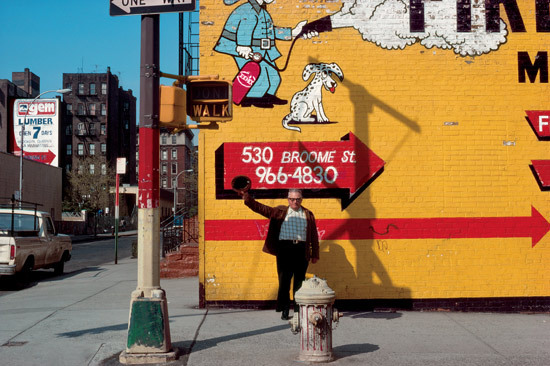 Born and bred in New York, Herman has been shooting on the street since the 70s, when he was studying at NYU. The book has notes by consultant, editor, and native New Yorker, Stella Kramer and a foreword by Sean Corcoran of the Museum of the City of New York. Get your copy now! Robert will be speaking on Tuesday, June 18th, 2013, at the Apple store on Prince St, NYC, at 7 pm. View the aCurator full screen feature. View Robert's previous aCurator feature, a road trip in South Africa.